CHAMPAGNE — This small Champagne house was founded in 1895 by Charles Gardet. His son, Charles, was born in that same year, 1895. Charles further developed the business, and in the 1920′s moved it to its current location in Chigny-Les-Roses, which is in the prestigious Montagne de Reims, just south of Reims. Since then, the business has been guided by family members who continue to respect their traditions and are meticulous about producing high quality wines. The family vineyards include over 7 hectares (about 18 acres) of the Premier Cru vines near the estate in the sought-after Montagne de Reims region. The rest of the grapes are bought from known quality growers in the most prestigious areas of the Cote de Blancs and the Montagne de Reims. The family assures that their fruit is of the highest quality because they know you cannot make great wines unless you start with great grapes. One example of the family’s vision to quality is in the amount of time it ages its wines. 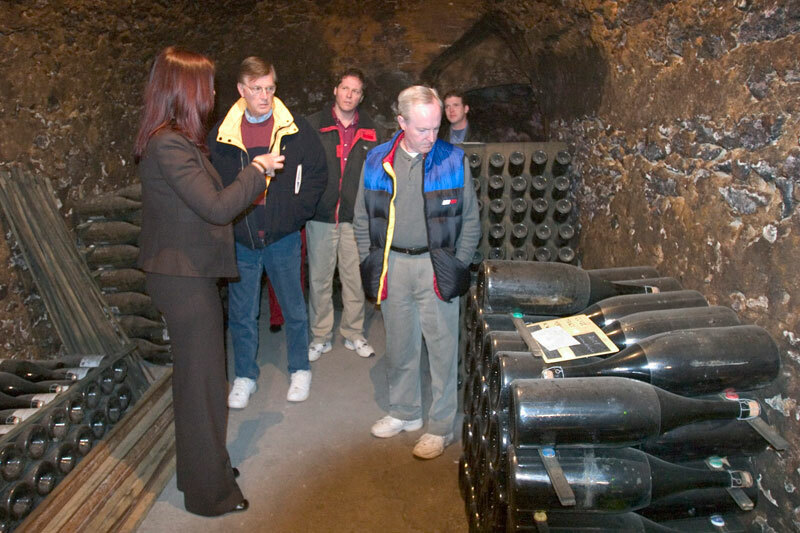 By law, to be a non-vintage Champagne, the wine needs to age at least 15 months. But at Gardet, even their entry-level Champagnes are aged at least 2 years. Furthermore, to be a vintage Champagne, the wine needs to age for a minimum of 3 years, according to the law. Again, Gardet exceeds this standard and ages their vintage Champagnes at least 4 years. What they sacrifice in immediate cash flow, they more than make up in quality. There is a special stye, fragrance, maturity, and finesse that all of the Gardet Champagnes have. And it’s only after years of patient work and loving care that these wines earn the right to bear the noble name of “Champagne Gardet”. The City of Paris recently announced that it has chosen the Gardet Brut Tradition Champagne as the “Official Champagne of the City of Paris”. It will be served at all official City of Paris functions. This is a remarkable achievement for such a small producer — all the more so since Gardet was chosen through tastings (not because of a paid endorsement). Please call us to learn more about our Gardet, Charles Wines and their availability.